Boys' underachievement in education has now become a global concern, taxing the minds of governments across the Western world. Boys and Schooling in the Early Years represents the first major study of its kind to focus specifically on young boys and achievement. It makes a powerful argument for the need to begin tackling the problem of boys' lower educational performance in the early years. This book includes one of the most detailed and up-to-date analyses of national evidence regarding gender differences in educational achievement - from the early years through to the end of compulsory schooling. Together with original and in-depth case studies that vividly capture the differing experiences and perspectives of 5-6 year old boys, the book sets out the nature of the problems facing them in education and highlights a number of practical ways in which these issues can begin to be addressed. 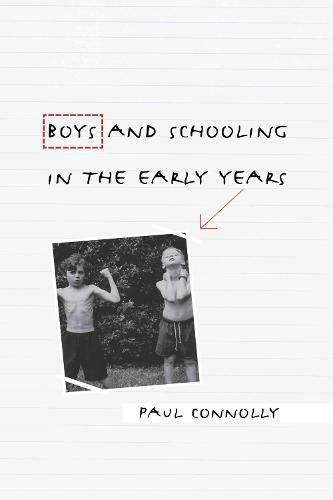 This is essential reading for all those working in the early years, who are concerned about boys' lower levels of achievement, and want to know what they can do about it.